As soon as you cross the border with the intention of settling in Switzerland, you have to register with the local authority (Gemeinde/Commune) where you are living, even if you are still in temporary accommodation, such as a hotel. This should be done in the first two weeks, or 8 days for British citizens. 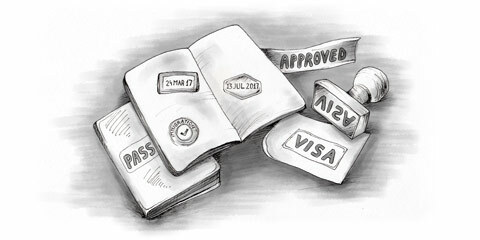 Residence registration is obligatory for everybody living in Switzerland, including foreigners and Swiss citizens. Registration is done at the local community office (Gemeindehaus/Maison communale) in the country site or an area office (Kreisbüro/Bureau d’arrondissement) in cities. Larger cities sometimes have a special residence registration department (Einwohnerkontrolle/Contrôle d’habitants). In any case, you have to register your arrival before you start working. The commune will then pass on your documents to the cantonal authorities who will process your request and send you your residence permit (if you need one). Valid identity documents (for you and all accompanying family members). Your health insurance certificate (showing you hold a policy with a recognized health insurance company). A passport photo (for you and all accompanying family members). Civil status documents such as family record booklet, marriage certificate, birth certificates of children, etc. If you are looking for work, bring the above documents with the exception of the employment contract. Note that the rules on registration are enforced very strictly in Switzerland, one of the reasons being that direct income taxes are levied at the place of your registration.